Auditing has been proved to be most important concern for every business origination in terms of evaluating true and fair view of the financial statements. Apart from auditing, there are other matters that shall be taken into consideration for business operations management. There are various accounting related to statues and frameworks that business entity shall apply in its financial statements. This report includes evaluation of accounting and auditing professions and accounting and auditing standards prepared for mitigating shortcomings that auditors do. This report includes issue in annual report or report to investors for the investment decisions. How lack of information in this report is dealt was discussed. At last discussion about director’s stand in the business organization were discussed. Question 1: Are accountancy and the accounting profession helped or hindered by the now existing (and increasing) voluminous number of regulatory statutes and accounting standards? Profession can be defined as the service provided by one person to another person. Profession includes intangible element in its provision. On the other hand trade can be defined as the purchase and sale of the goods or products in the normal course of business. There are many regulations in terms of accounting and presenting financial information. Accounting profession includes accountants, finance manager and other employees related to financial management. There are various regulatory statutes and accounting standards that are in existence or that are related to accounting of business transactions. Australian accounting standard board has been established by the regulatory bodies. Australian accounting standard board is engaged in issuing and implementing various accounting standards in the business organisation. Australian accounting standard board has issued various guidelines for the better implementation of accounting standards in the business organisation. It can be observed that these accounting standards and regulation has provided support or helped to accountant and accounting professions in terms of recording and presenting financial transactions. Accounting standards and regulation has provided base and support to many accountants of the business organisation in terms of prescribed accounting practices. There are certain laws, rules and regulation that shall be incorporated in recording and representing financial information in the financial statement. Therefore from the above points it can be concluded that accounting standards and regulatory statues has supported and helped accountancy and accounting profession. Question 2: How are these things mitigated by the accounting/auditing profession and regulatory statutes and accounting/auditing standards? As per the auditing standard auditors shall form their opinion on the basis of financial statements and other relevant information. Therefore auditors cannot impose their own opinion. There is auditing standard under which sufficient and appropriate audit evidence shall be collected and analysed and on such basis opinion shall be and shall write findings. Auditing standard for setting materiality level and if item crossed that materiality level then through testing shall be undertaken. In this case, there is accounting principle i.e. substance over form under which main element or nature of the business transaction shall be understood and not what actually done in transaction. Auditors are supposed to express their opinion on the business performance of the organisation. For that auditor has to collect some facts and figure from the financial statements and other important reports prepared by the business organisation. According to auditing standard, auditor shall express his / her opinion on the basis of what is actually happened in the financial transaction of the business organisation. For expressing true and fair opinion on the financial statements of the business organisation auditor shall undertake both compliance and substantive procedure so that correct opinion can be expressed. Accounting standards and auditing standards shall be used to set objective that fulfils SMART technique. It is the principle of auditing or audit engagement that independence of auditor shall be checked. There shall be no relation with any member or manager or directors of the company. Therefore there is standard under which independence of auditor shall be checked. Question 3: Explain how auditing and auditors deal with such issues. Audit of accounts is the process under which accounts of the business organisations gets audited by the auditors appointed by the organisation. Audit of financial statements ensures true and fair reflection of information that has been presented in the financial statement. Financial statements are those statements that represent information related to financial position and financial performance of the business organisation. Above mention points requires material information that shall be available with the investors of the business organisation (Ali, 2011). Auditors are those which conduct audit of accounts or financial statement of the business organisation. Auditing is the process of making detailed analysis and evaluation of books of accounts and financial statements prepared by the management of business organisation. In auditing system there are various aspects that shall be undertaken by the auditor so that there can be true and fair information presentation. Information to be used in the decision making process shall be authenticated and authorised so that reliability can be established on such information. In this case, auditors shall ensure that financial statements of the business organisation are free from errors and misleading information regarding financial position of the organisation (Ali, 2011). In transforming mere statements into business reports or other reports that can be used to reflect information that investors can undertake in the decision-making process, auditing process has most important role to play. Since it overcome the errors and supports disclosure of more information in the annual report. Investors rely on the certified financial statements i.e. certified by the auditor of the business organisation. While audit, auditing standards followed and applied while auditing the financial statement of the business organisation. It is concluded that auditors and auditing has proved to be most important factors that resolves the issue of information presentation and full disclosure of information. Question 4: Why should we trust directors? How shareholders’ are protected? Independency of the director shall not be hurt or converted into in-independent during the year. When director is not independent then he / she cannot take participant in decision making process. Directors are executives of the business organisation and they shall be work towards direction of betterment of company and of its members. Directors have the ultimate responsibility of promoting success and growth of the business organisation as its duty. Directors while taken business decision is required to take into account reasonable care, diligence and understanding of the business problem or issue. Directors stand in fiduciary relationship with company and with its members i.e. directors are not allowed to make secret profit in any transaction. They shall make full disclosure to the members regarding any secret profit that they make (Waldron & Hebblewhite, 2015). Therefore from above points is concluded that directors can be trusted by the outside parties of the business organisation. Shareholders are those people or group of people that has invested their funds in the business organisation and requires return on the invested amount. It is duty and responsibility of the directors and other executives to protect the rights of shareholders. Interests of shareholders are protected under the Corporation act 2001 in terms of making disclosure of all the relevant and material information in its annual report (Easton, 2013). There are various acts that have been enacted for the protection of shareholders or investors of the organisation. Shareholders rely on management and employees of the business organisation. Therefore they shall work according in the direction of shareholder’s protection. It can be concluded that there are various set of accounting standards and auditing standard that shall be implemented on the business organisation. 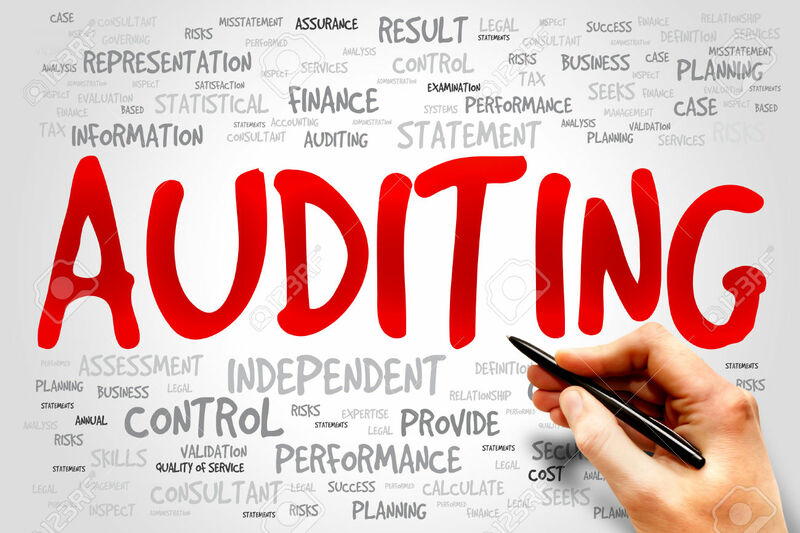 Auditor of the business organisation shall fulfil all the requirements of the auditing standards while performing audit of the business organisation. It is concluded that accounting standards has supported accountancy and the accounting profession. Information shall be provided to all the stakeholders of the business organisation so that investors can take correct decision. Auditors and auditing supports such phenomena. Directors are important part of business organisation since they perform various duties for the sake of organisation. Ali, J. (2011). When Should an Auditor Perform Tests of Controls. Accounting Web , 1. Collings, S. (2012). Audit planning. Accounting Web , 1.